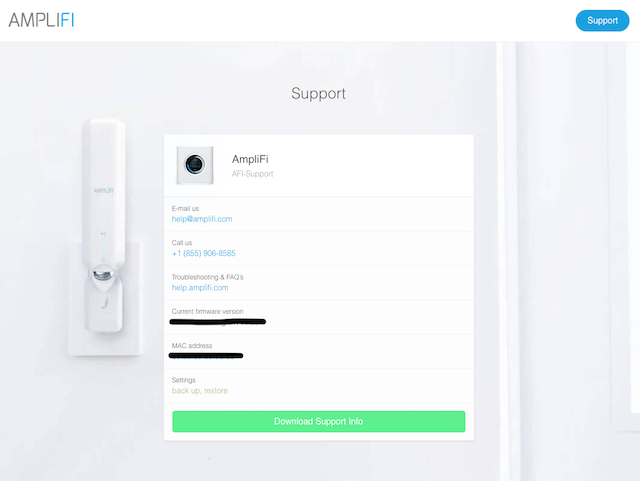 AmpliFi firmware version V2.9.2 has been released. This is the first firmware update for AmpliFi Gamer's Edition (AFi-G) and is required for the best experience with Nvidia GeForce Now. No issues so far in the 1 hour I've ran it. Just updated, enabled A-MSDU and found that my first gen Chromecast was having issues when trying to cast from a Galaxy S7 & S8. Didn't test on my newer Chromecasts, got series to watch - disabled A-MSDU and seems to be fine again. @jasper-bakker Just curious - what was your connection speed before? If that is over WiFi connection and not hardwired, does that mean that you are getting the full “rated” speed from your ISP over WiFi? Can we please have traffic pausing in bridge mode enabled, it would be nice. Aslo the ability to turn off the WiFi for troubleshooting or if we don't need one of the band's. How do i roll back one firmware? I have a VOIP with calls going silent after a few minutes today after this upgrade, and want to test it back on the old version. @richard-evans try a factory reset first before the downgrade. Just upgraded from 2.8.9 (which was great for me) and I’m not noticing any appreciable differences, good nor bad. A-MSDU is enabled. But I always remain skeptical because the speedtest depend on the server, time and location you choose. Sometimes they are faster than other times. I always test on a few different servers. But the first tests give a good impression on Firmware v2.9.2. It would be nice if we had an option to use the units as media a media bridge, I was able to do that on my old Asus repeater. Especially for the Instant units. Everything seems fine so far. No major hiccups. I'll report back in a week. no change here. enabled a-msdu resulted in no improvement (or slow down) of throughput. A-msdu has made a big change for me. I'm in the UK on virgin media vivid 200 200/10.since installing the amplifi I've been getting a max dl of 90. Performed the firmware update last night and read about the new setting today. I did buy a new cat6 cable today and installed that before I did the test so I can't say for sure if that helped (the previous cable was a 6 month old cat6 supplied by virgin) I enabled the new setting and now I get a pretty consistent 210mb dl. Happy days. Thanks for the update.